ליעל מנור ארבעה ילדים, שניים מהם הינם תאומים – בן ובת וחמישה נכדים, שניים מהם תאומים – בן ובת. 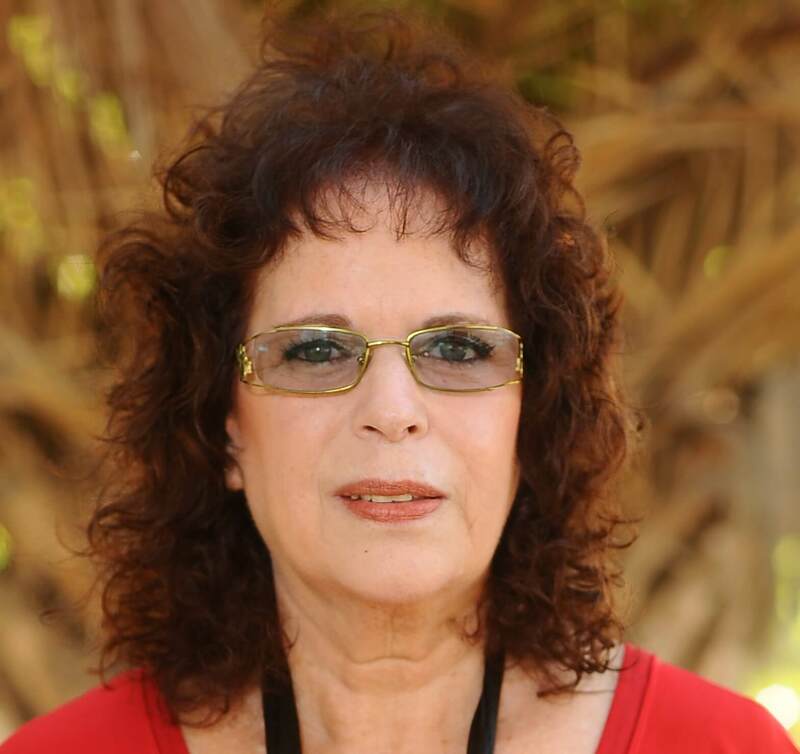 שנותיהם הראשונות של נכדיה התאומים עברו עליהם בביתה. חוויות הגידול של התאומים הפעוטים הציתו בה את יצר הכתיבה לפעוטים ולילדים צעירים. כל ספר מספריה, מבוסס על אירועים אמיתיים, בתוספת דמיון עשיר. This is a little story about a little boy, who loves a little soft blanket, named Blankey. 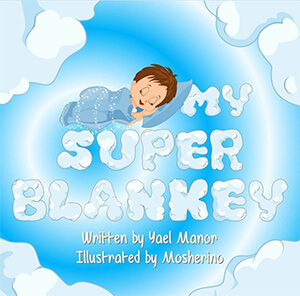 Do you want to know how Blankey became a super blanket? So..... Let's begin? Emma and Ethan’s Mommy, knows how to tell magical stories. What can she do, when Ethan and Emma have diaper rash? Immediately, Mommy invents a story. 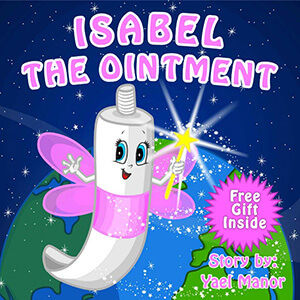 A little story about Isabel the ointment, that makes magic, not only for Ethan and Emma, but for all the children in the world. In a small village near the sea, lived a little girl, who always said, "No!". This little girl was three years old and her name was Hailey, but everyone called her “Hailey No No". That moment when the smiling, obedient toddler you knew so well becomes opinionated, with her own wants, and whose cry of "No!" can be heard far and wide, is the challenge for parents. Even though this rebelliousness seems like a negative and dangerous phenomenon, it is a normal developmental occurrence and largely positive. Emma and Ethan the twins, love to throw their food on the floor, every meal. Mom and Dad are very angry, but that does not bother Emma and Ethan that continue to throw food on the floor. The potato tired of this, the tomato tired of this and even the cheese tired! What will do the potato, tomato, cheese, bread, egg and pie ......??? This book is for children, age 2-4. "Oh my gosh, these pictures are so cute and what a great idea, every parent has problems with the food going where it is not suppose to. 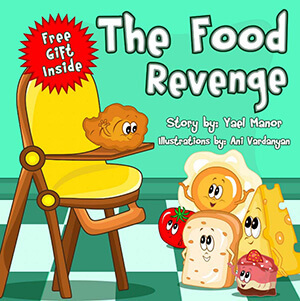 When the town's food comes alive to teach an important lesson the story finishes with a triumphant ending. 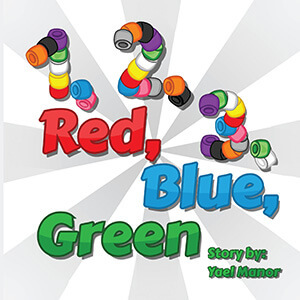 Beautiful writing and illustrations make for a great fun book that kids will love!" Ethan and Emma are twins aged three. 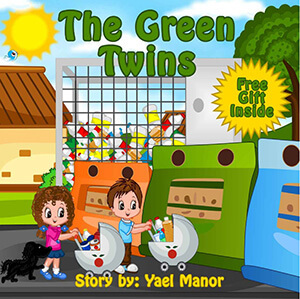 Their mother teaches them to recycle bottles, packaging, newspapers, cardboard boxes and more. 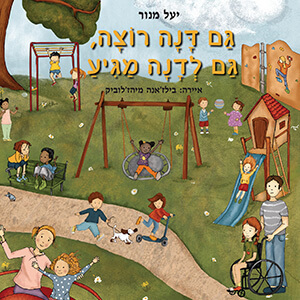 One day, the whole family went for a walk to the recycling center - You will not believe who they met on the road…..
סיפור זה נועד לשפוך אור על אפליית ילדים נכים בגני השעשועים. זהו סיפור על אכפתיות חברתית, חברות אמיתית ונכונות לתרום לאחר. זהו סיפור על חשיבה, על התמדה, על מקוריות. זהו סיפור על דאגה אמיתית לחלש יותר ועל אי קיפוח זכויותיו. 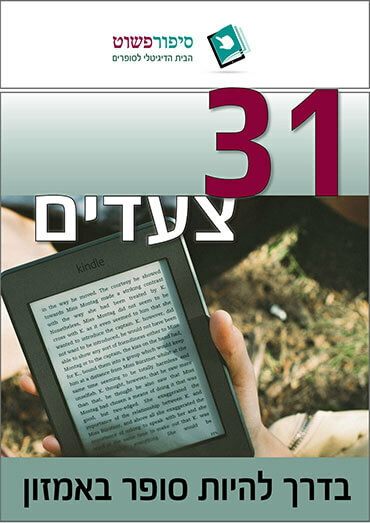 הבה נחנך את ילדינו להיות כל זאת. 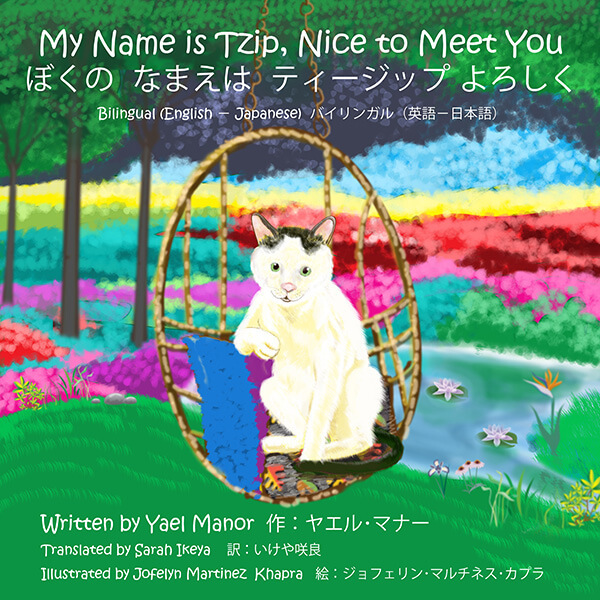 My name is Tzip and as you can see, I'm a cat. My owner says I appeared one day like a gift on her doorstep and insisted on staying. She tells anyone willing to listen to her, that they can learn a lot from me on how to live a peaceful and relaxed social life. Do you want to know how? Let me tell you my story. Grandma brought Ethan and Emma - twins aged three, a gift in a big, big box. What could be in such a big box? Think the Twins. The twins sat in the living room, next to the box, opened it and…… What did the twins find in the box? How do the twins learn to count? How do they learn to recognize the colors? What did the twins do with all the……? In a small village near the sea, lived a little girl, who always said, "No!". This little girl was three years old and her name was Hailey, but everyone called her “Hailey No No". That moment when the smiling, obedient toddler you knew so well becomes opinionated, with her own wants, and whose cry of "No!" can be heard far and wide, is the challenge for parents. Even though this rebelliousness seems like a negative and dangerous phenomenon, it is a normal developmental occurrence and largely positive. 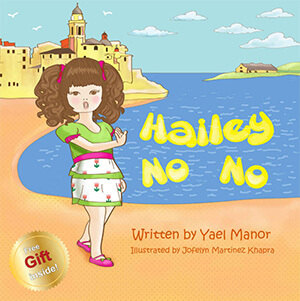 Get in and read more about Hailey No No.